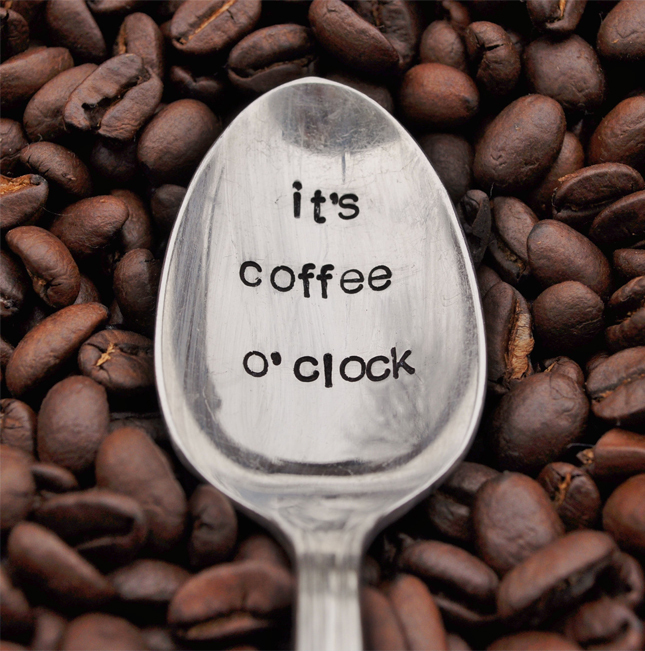 Early Monday mornings always call for a serious cup of coffee. As I was curating for the company I work for, I stumbled across these gems. 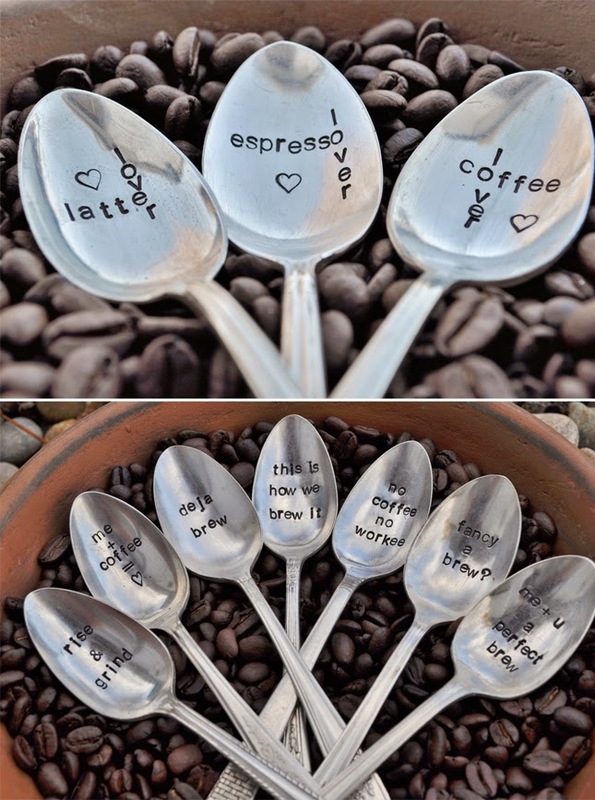 Remember when I showed you Hand Stamped Silverware? These are all coffee themed. How cute are they? I'm loving them! "no coffee no workee" - YES!